Being an important component in different formwork systems, NGM H20 timber Beam provides you different solutions together with using steel products & plywood for different projects. NGM H20 Timber beam maintains a superior quality, long durability and high loading capacity with the multi-layer web for your selections. 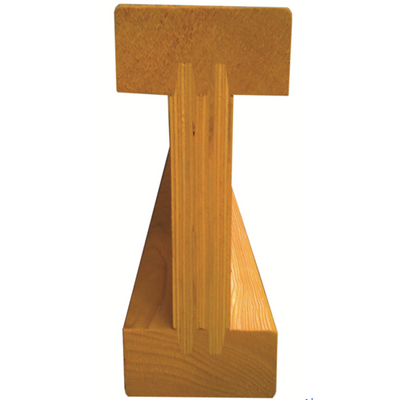 Flange produced by the spruce imported from north Europe ensures the beam quality higher than normal wooden. Produce according to EN1337:2202 standard, comply with the international technical request. Made of superior quality solid wood with friction-fitted finger-joints, smoothly surfaced and slightly chamfered. Tested by SGS on its resistance. Chords: Made of strictly selected class S10 spruce wood according to EN13377:2002. Webs: Made of 30mm thickness 3-ply or multi-ply ensure high carrying capacity for continuous use in all climate zones. Glued finger-joints: Glued finger-joints between chords and webs accord to EN385. Protective cap: Bevelled end protection made of steel or rubber materials provides protection from splintering at the chord ends, significantly increasing durability. Length available: 1.25m/2.45m/2.65m/2.90m/3.30m/3.60m/3.90m/4.90m and 5.90m, Maximum length is up to 6.15meters. 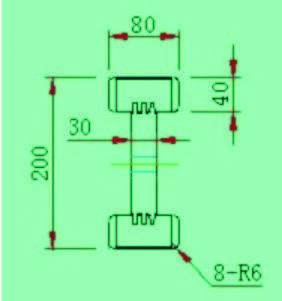 Flange size: 80X 40mm Web width: 30mm .